Confused about how Dave Ramsey’s Baby Steps work? Are you struggling to keep your finances afloat? Have more bills than income or just live off credit cards and now have a mountain of debt? Relax! We’re not here to judge. After all, I’ve answered yes to all of those questions too. I do, however, want you to realize that it’s time to take action and change the course of your future before the damage gets worse. Dave Ramsey’s Baby Steps are his process to walk through getting out of debt, starting a monthly budget, building an emergency fund, planning for things like kid’s college expense and retirement savings, and building long-term wealth. Quite simply, they work because they get you intentional about how, when, and where you spend your money. You can do it; I know you can as my wife and I have done it too. I’m here to help and specifically in this post, we’re going to focus on my personal finance mentor Dave Ramsey. Specifically, we’re going to get into Dave Ramsey’s Baby Steps and why they work. Dave Ramsey is probably the #1 personal finance guru in the US; maybe the world. Above is a shot of my family (minus our latest daughter) with Dave in his studio in Nashville. You’ve likely heard him being interviewed on the top TV shows. Or maybe you’ve heard him on the radio (also released as a podcast). Perhaps you’ve even read one of his New York Times Best Selling Books such as my favorite, The Total Money Makeover. In many circles, he’s a household name. And only the most sheltered have never heard of Dave Ramsey’s Baby Steps. And in case you think he’s just another elite offering advice he’s never used himself, he did indeed once file for bankruptcy. He then started his (now thriving) business at a card table in his living room. In other words, no matter what shape your family’s finances are in now, he’s probably been there (or worse). His advice is solid and I can tell you it works from personal experience. How much money does Dave Ramsey make a year? Bear in mind that Dave started his business at a card table in his living room after filing for bankruptcy. That being said, that was in the early ’90s and he’s since built an empire out of helping others to get out of debt the smart way and have brighter financial futures. His net worth is on record for being around $55 million and we know the home he recently built is worth close to 5 million. It is worth noting that both Dave’s home and his office buildings are all paid for and he and his family hold no debt of any kind. Thus, he truly does walk his own talk. It’s also worth noting that he and his family and organization tithe and donate far more of their company’s gross revenue than they spend personally. So if Dave can go from broke to being a millionaire using these systems, so can you! 10 years ago my wife and I had over $60,000 in debt. Like a lot of Americans we lived in a house we couldn’t afford, drove cars that weren’t paid for and when the money ran out each month we just reached for the credit card and kept going. But unless you’re the US government, that method just isn’t sustainable. You can’t borrow your way out of debt or simply hope to hit the lottery and make it all go away. You have to take charge of your life, your money and your family’s future. That’s where this post and Dave Ramsey’s Baby Steps come in! What are Dave Ramsey’s Baby Steps? Baby Step 7 – Build wealth and donate to charity! How do Dave Ramsey’s Baby Steps work? Why Dave Ramsey’s Baby Steps work is simple; it gets you to stop making financial decisions emotionally. It also gets you to stop making decisions blindly. When we just reach for a credit card every time we buy something there’s no emotional connection. After all, unless the card gets declined you don’t likely have any idea what the balance is, how much interest you’ll pay on that purchase or how long it will take you to pay off. That’s why it’s vital that you also incorporate his envelope system into your spending plan. I break down Dave Ramsey’s envelope system in another post, so check that out for greater detail. But essentially you take out a set, budgeted amount of cash every payday and divide it up among different envelopes that you and your spouse or partner agree upon. Categories like gas, groceries, family entertainment and pocket money for you and your spouse. When the cash is gone, it’s gone until the next payday. This teaches us discipline, but it also makes us truly value and appreciate the purchases we make. You WILL spend less as every purchase will get scrutinized when you open your wallet and see how much is left. Dave has an excellent Starter Envelope System on Amazon for less than $20 bucks! So check that out if you’re ready to get started on getting ahead financially! What is Dave Ramsey’s Baby Step 3? 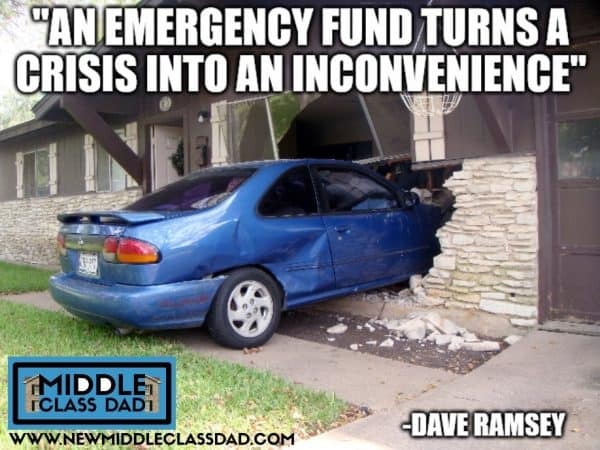 Dave Ramsey’s baby step # 3 is building an emergency fund of 3-6 months of expenses. The emergency fund is a critical component not many families have. If your air conditioner breaks or your car is totaled in a hit and run, what would you do? If you’re like many folks, you would just borrow money and not think twice about it. But those expenses can be huge and even those enticing offers of no interest or payments for x number of days come at a price. That price is that we forget about them and then they come knocking for their money sooner or later. So we start out in Dave Ramsey’s Baby Steps by getting a small amount of $1,000 in a starter emergency fund. This won’t be enough to cover huge expenses, but it gives us a little cushion while we get everything else lined up. I dive deep into why and how to build your emergency fund in another post, so check that out for much greater detail. Why does Dave give a 3 to 6-month expense range? After you’re debt free you’ll go back to your emergency fund and build it up to between 3 and 6 months of your total household expenses. The range is based on job security and consistency of income. Have 2 jobs in your household and each of you has held that job for 5 years or more? 3 months is probably sufficient. But if it’s a single income, you change jobs frequently or are a freelancer with an ever-changing income, air on the high side of that 6-month range. Ultimately depending on your expenses we’re likely talking a minimum of $8,000 to $10,000 and might be talking about twice that (or more) for some of you with big costs of living. It might seem like a lot of money to just park in savings (hint: it’s not an investment so avoid putting in stocks or mutual funds). But this is simply cash you have in a simple savings account that you can access any time you have a large unexpected financial crisis. Just make sure that a new car, hot tub or a trip to Disneyland don’t get called “emergencies”. Want to dig in deeper? My 40-page e-book has everything you need to get started saving your financial future! What is Dave Ramsey’s snowball method? All of Dave Ramsey’s Baby Steps are important, but perhaps none are quite as important as getting out of debt. Debt keeps us prisoner. Even at a low-interest rate we are still giving someone else our hard earned cash instead of making it work for us in Saving for Retirement. Using the debt snowball in Dave Ramsey’s Baby Steps means prioritizing all your debts (excluding the house) from smallest to largest. Forget for the moment that some have higher interest rates than others. You pay minimum payments on all but the smallest. Then you pay as much as possible on the smallest one until it’s paid off. Then you move on to the next one on the list and work your way up to the biggest debt (often student loans or home equity loans). Dave Ramsey’s debt snowball method for paying off debts has you list out your debts from smallest to largest. While a form listing out your debts isn’t totally necessary when you could use a simple spreadsheet, you can download a copy of the Dave Ramsey debt snowball form right off Dave’s website. You see the pile of debt was not accumulated by being calculating and logical. It was acquired by making emotional choices. We spend out of envy or we spend out of frustration. You don’t spend money typically because you analyzed the numbers and it made logical sense. Thus we can’t dig our way out without getting emotional about it. That’s why it’s crucial to pay off the smallest debt first without regard to the interest rate. When you pay that off you’ll see traction (however small). It’s a quick win. And when we experience quick wins it gives us the motivation to keep going. Then move on to the next debt and with the first one paid off you’ll be able to pay even more on this one than you did the first. With every debt, you gain more traction as you throw larger and larger payments at them. With every paid bill you get more fired up and feel more successful. That emotional win will fuel your momentum forward! Once you’re debt free and have a fully funded emergency fund it’s time to think about retirement. You’re doing great at this stage of Dave Ramsey’s Baby Steps. But we don’t want to forget about the future. Many of you probably started this process with a 401k or IRA but some of you might not have anything. But the time is now to get started! You’re honestly ahead of many people but we don’t want to relax too much. It’s also OK at this point to loosen your budgets a little and eat out once in a while or take the family on a nice vacation (that you pay cash for). But it’s also time to start putting 15% of your gross household income in a retirement plan. I go into greater detail combined with some simple actionable steps in a post about the best ways to Save for Retirement. Check that post out if you need help getting started. But I also LOVE Chris Hogan. Chris is America’s “Voice on Retirement. He has an award-winning podcast, is part of Dave Ramsey’s amazing team. But most importantly, he has an excellent book called Retire Inspired. I highly recommend you get that book if you aren’t sure where to start. If you have kids, it’s vitally important to plan for college expense while they’re still young. I waited until my daughters were 7 and 8 and honestly I wish I had started earlier. You see at a bare minimum at today’s costs in the US you’ll need at least $18,000 to send 1 kid to college. Add out of state tuition, dorm costs and travel and you could easily quadruple that cost. Thinking a prestigious or Ivy League school and it goes up even more. I also cover everything you need to know about getting started in a previous post about the best kinds of College Savings Accounts. I walk you through all the basics, the different options for saving and why the 529 plan is the only one I use for my kids. But however you save; get started young and don’t get stuck in analysis paralysis. Can you really live without a mortgage? Think about what you could do without that mortgage payment! I don’t know about your house, but at my house, we pay a little over $1,300/month for our mortgage payment (including taxes & insurance). Thus if my wife and I paid off our mortgage that would give us an extra $10,000 a year (since we still have to keep paying taxes & insurance). We’re not retiring to the Caymans on that, but it’s also nothing to sneeze at. Over 10 years just in a savings account that would grow to $100,000. How compound interest can make you a millionaire! But what if you invested that $10,000 savings in a good mutual fund with a 10 or more year track record of 10% (or better) growth? Using a compound interest calculator courtesy of MoneyChimp, I see I could easily grow that $10,000/year to upwards of $175,000 in a ten year period. Leave it for 30 years and it grows to $1,809,000! Now that is something worth doing! So once you’re debt free, saving for retirement and college, throw everything else extra at your mortgage payment. I’ve posted before about how you can Pay Off a Mortgage Faster using some practical and simple strategies. So check that post out when you’re ready to rock your future! Living and Giving like no one else! So when you get to this last stage of Dave Ramsey’s Baby Steps, you know you’ve made it! This is where you’re doing so well financially that you can, as Dave says, “live and give like no one else”. That simply means you’re on such solid ground you can travel and give to family members and charity. Basically, you’d be living my dream life! So let’s get there together! Are you struggling each month to pay bills? Maybe you’re behind on bills or have more bills than you do income. You’re left wondering where your money went each month instead of telling your dollars where to go? I get it! That’s why a cornerstone of Dave Ramsey’s Baby Steps is to do a written budget every month before the month begins. It’s OK if (assuming you’re married or in a serious relationship) one of you is more the math nerd than the other. But you both need to agree on the big picture, amounts and spending categories. You’ll almost never get ahead by just winging it, so get intentional with your money and show it who’s boss! 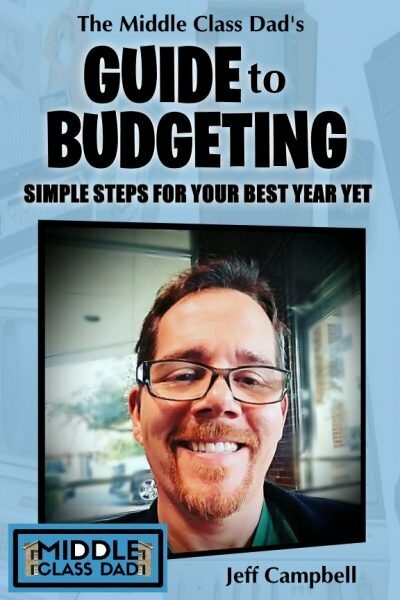 Want the best budgeting tool out there? Download my FREE Excel household budget template now! Once you get it, you can dive deep into how to use it and why it works in another post about why this is the Best Excel Household Budget Template. Why should you follow Dave Ramsey’s Baby Steps? You should follow Dave Ramsey’s Baby Steps because they work! They worked for my family and they can work for yours too. As I mentioned at the top of the post, almost a decade ago my family was in bad financial shape. Following Dave Ramsey’s Baby Steps we paid off over $60,000 in debt, paid off our cars, sold our house we couldn’t afford and got our life back on track. We also got our marriage back on track! After all, money fights and money problems are among the Top Reasons for Divorce. So getting your finances in order and uniting with your spouse behind that goal is a great way to make your relationship and family stronger. In other words, Dave Ramsey’s Baby Steps have helped millions of people get their life back. 9 Proven Reasons You Should Follow Dave Ramsey’s Baby Steps? You have to be intentional with your life, your spending and your money. 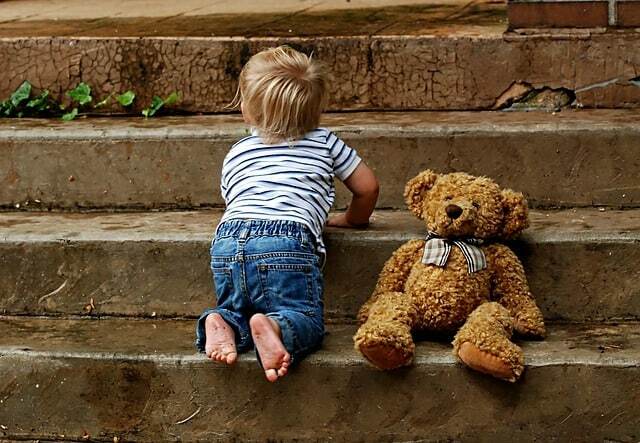 While just doing what you want when you want as a 5-year-old might work for a little while, it’s not sustainable for the long term. Dave Ramsey’s Baby Steps give you an incredibly specific plan and it can work for you if you follow it. We’ve all met people with car loans, boat loan, student loans, and a half dozen credit cards. From a distance, they look like they are living life to the max. But behind the curtain, you see the wizard has a lot of bills. According to the Motley Fool, the average American owes upwards of $140,000 on loans and only earns an average of $59,000/year. Even without a calculator, you can see how that math just doesn’t work. 3. OVER 13 MILLION PEOPLE CAN’T BE WRONG! 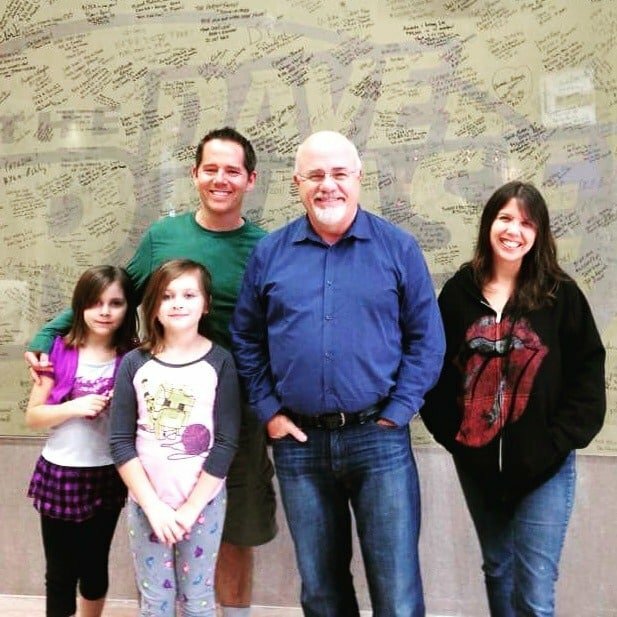 Between his radio show, podcast and Financial Peace University students, Dave Ramsey’s Baby Steps have helped over 13 million people get out of debt and get their lives back on track. And that’s not even counting book sales, word of mouth and people who just find him via blogs like this one. I have worked on Dave’s plan for upwards of 10 years and my family is far better off for it. We hit a few speed bumps, paid, as Dave says, some “stupid tax” (money we didn’t need to spend because we made a mistake). But his plan can work for anyone if you follow it. Just stick to it, make sure you and your spouse are in agreement, get aggressive enough to see traction so you don’t lose motivation and you’ll get there. 5. YOU CAN’T AFFORD NOT TO! As I mentioned with the above stats, the average American has about 3 times their annual income in debt. Most of us will never win the lottery or get that inheritance from the rich Uncle you didn’t know you had. Thus if you’re going to succeed in life you can’t count on anyone to make it happen for you; you have to make it happen! 6. IT JUST MIGHT SAVE YOUR MARRIAGE! I mentioned it above, but money fights and money problems are often in the top 3 of the reasons for divorce. If your family was anything like mine 10 years ago, you could easily find your marriage strained and communication poor. If your marriage is already challenged I have a completely FREE 6 part mini-course to strengthen your marriage. No strings attached, so if you’re interested, check out my Rock Your Marriage mini-course at no cost! Clean up your finances and watch your relationship improve! Financial messes often take time to create. Maybe it started with that 1 credit card in college. Then your friends all started getting new cars and you felt left out. Fast forward a decade and maybe you’re married with 2 car loans, student loans and several credit cards in a house on an adjustable rate mortgage. But normal isn’t where you want to be. If you want to change your life, you have to be willing to change the habits that got you there. You have to be willing to be weird. 8. YOUR KIDS ARE COUNTING ON IT! As parents, we naturally want to set our kids up for success in life! We parent them, teach them, train them. But you know how they learn the most? From watching what we do! If you smoke, guess what they’re more likely to do? The same is true with finances. Growing up, I learned very little about finances. In fact, I had to learn the hard way how to do things correctly. Dave Ramsey’s Baby Steps were a big part of that. But the best legacy I can leave my kids, outside of an actual financial nest egg and paid-for college is the knowledge and wisdom I’ve learned from doing things the right way. 9. BECAUSE YOU WON’T WANT TO BE OLD AND BROKE! I don’t know about you, but I don’t want to be old and broke. 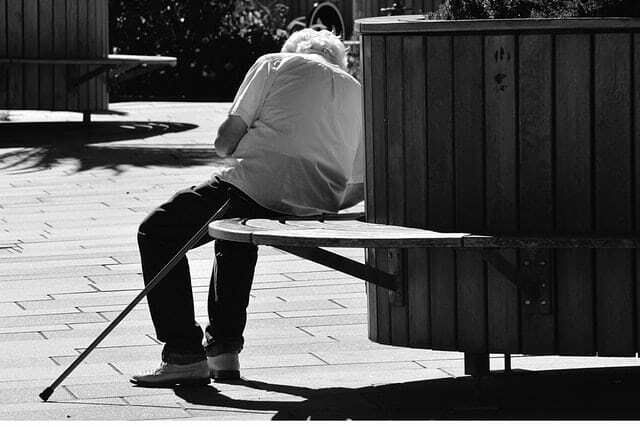 I also don’t want to count on social security to live on. According to a recent study by the Economic Policy Institute, the average retirement savings in America is just under $100,000. That might sound like a lot of money. But if you retire at 67 and live until 85 and maybe your spouse outlives you by 5 years that means you’re trying to stretch that $100k out about 20 years. That amounts to $5,000/year. Can you live on that? I didn’t think so! So let’s get on track with Dave Ramsey’s Baby Steps! Do you have questions about Dave Ramsey’s Baby Steps? In this post, we took an in-depth look at the cornerstone of Dave Ramsey’s financial planning advice; his baby steps! Specifically, we broke down all of Dave Ramsey’s baby steps. We looked at how they work, why they work, but most importantly, how to implement them into your life today, for a better financial tomorrow. The app Trim automatically looks at your monthly bills & spending and then cross-checks that with savings programs almost all vendors have. It’s a great way to get a few extra bucks to throw at your baby steps! When they match up, you save. They’ll even handle the hassle of canceling memberships you no longer want or renegotiate bills for you like insurance and cable bills. Just sign up and spend on your Visa card and earn automatic savings back on your statement! Which baby step are you on? If you like this post, please follow my Budgeting board on Pinterest for more great tips from myself and top budgeting experts! While I have years of successful financial & budgeting experience and run several million dollar businesses and handled the accounting, P&L and been responsible for the financial assets of them, I am not an accountant or CPA. Like all my posts, my posts are opinions based on experience, observations, research, and mistakes. While I believe all my personal finance posts to be thorough, accurate and well-researched, if you need financial advice, you should seek out a qualified professional in your area. Just the other day, Dave said he’s helped over “5 million” people get out of debt. You say, between his radio show, podcast and Financial Peace University students, Dave Ramsey’s Baby Steps have helped over 13 million people get out of debt and get their lives back on track. — 13 million seems like a very high number. Besides, were does his and your numbers come from? 13 million people can’t be wrong? There are approximately 157,529,444 atheists in the world. If you’re a Christian, then that’s 157,529,444 people who are wrong, right? Just because 13 million people are doing something doesn’t necessarily mean it’s right. You see the pile of debt was not accumulated by being calculating and logical. It was acquired by making emotional choices. Thus we can’t dig our way out without getting emotional about it. — wouldn’t the opposite be true? If you got into debt being emotional, then it’s time for a new strategy…being logical and using critical thinking. If you are in fact the type of person who needs the “quick win” the Debt Snowball offers, then go for it, but if you’re ready to be a logical, educated adult, then do the Debt Avalanche and get out of debt quicker and by paying less interest. Just my thoughts. I ran a Facebook group called “Dave Ramsey’s Baby Steps: A Relaxed Approach”. I no longer run it, but it’s still active under new administration. I promoted critical thinking and a less pedantic attitude toward personal finance. No doubt, Dave Ramsey’s program works, but it doesn’t mean it’s the only program that works. There are many paths to the same goal. To suggest otherwise, as Dave Ramsey does, is irresponsible and arrogant. Thanks for such a thorough comment Troy. To be honest, I don’t recall where I got the figure from in my post but most likely I would have seen it on his website or Facebook page. It’s also entirely possible I made an error either when I saw it or when I typed it. That being said, my overall point, which I think is accurate regardless of the actual number, is that his plan has helped millions of people. 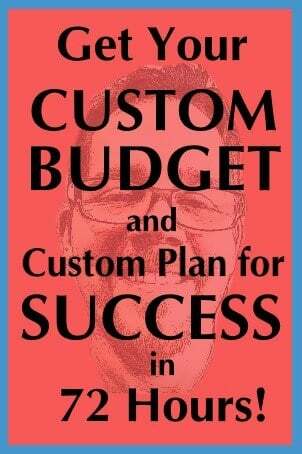 I don’t necessarily think his way is the only way, although it was the only thing that worked for my wife and I. I’ve been in and out of debt most of my adult life and it was only on his system that we gained traction and stuck to it and remained debt free. Again, there are definitely other systems out there and they may be great. I think anything that makes one intentional with one’s money and money habits is better than what most folks do. Is Dave a bit grouchy and a bit cocky, loud and opinionated? You bet, and while I may not say that in this specific post, I do acknowledge that on my site a few times as one of my goals was to bring personal finance tips to people in a more inclusive way than Dave does. I do also think there’s a difference between religious choices and whether one chooses to get out of debt and follow Dave’s system but I do understand what you’re saying with regards to the “people can’t be wrong” statement. I agree with your logic on the interest rate IF (and Dave says this too) someone is disciplined enough to stick with the program, not give up, and not keep borrowing. If someone has that discipline (which I think many may not and I was one of them at one time) then I would absolutely go the route of attacking the debt by interest rate. And if I were helping people as a 1-on-1 financial coach I would definitely tailor the plan to their personality. But since my blog posts are very general and going out to thousands of people who’s personal habits I don’t know, I still think the snowball approach is better as a jumping off point for people. At any rate, thanks for the engaging discussion!